TIZI-OUZOU, Algeria (Morning Star News) – A case that began with police in Algeria stopping a Christian suspected of carrying Bibles in his car ended yesterday with a large fine for the church leader. A judge in Tiaret, 600 kilometers (372 miles) southwest of Algiers, on Wednesday (May 16) denied pastor Nouredine Belabed’s appeal of a sentence of a 100,000-dinar (US$868) fine and payment of court fees under a controversial law that forbids “undermining the faith of a Muslim.” Belabed had received the sentence on March 8, including a three-month suspended prison term reduced from what had been a two-year prison term. The 37-year-old father of three was traveling with a companion, identified only as 26-year-old Khalil, to Tiaret on March 14, 2015 when gendarmes stopped their vehicle, Pastor Belabed told Morning Star News. National Gendarmerie in Tiaret had contacted officers in Sidi Abderrahmane to report two suspects driving an Opel Zaphira coming from El-Bayadh toward Tiaret with Christian books on board. A thorough search followed, ending with the officers seizing 56 books, according to a police report delivered to prosecutors at a court in Frenda, 50 kilometers (31 miles) southwest of Tiaret. The books included the Gospel of Mathew, Bibles, a Bible commentary, a book on church history and some pamphlets. 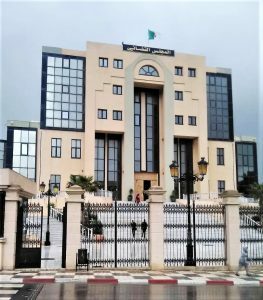 Pastor Belabed told officers that he had bought them at a Christian bookstore in Algiers after a meeting with other church leaders at the headquarters of the legally recognized Protestant Church of Algeria (l’Église Protestante d’Algérie, or EPA). He told them he meant to distribute them free to other Christians or any other person who wanted to know Christ, he said. Nearly two years later, around Christmas of 2017, he was informed that a security warrant had been issued on him and that he had been sentenced to two years in prison and a fine of 50,000 dinars (US$434) by a court in Frenda. The judgment was dated October 27, 2015. 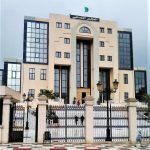 Christian leaders say the charge is unconstitutional, citing the Algerian constitution’s Article 42, which guarantees freedom of belief, opinion and worship. During interrogation Pastor Belabed told officers he converted from Islam to Christianity in 2003, and Khalil said he had converted in 2009. While the pastor secured an attorney with the EPA’s help, Khalil fled the country for Europe with others in a makeshift boat at the risk of their lives, Pastor Belabed said. After he fought the sentence with legal defense, in March a court in Frenda convicted both Christians of undermining the faith of a Muslim and sentenced them to pay the fine and court fees; the two-year prison sentence was cancelled in favor of the three-month suspended sentence, while the fine of 50,000 dinars was doubled. The pastor opted to appeal, and the case was transferred to the Tiaret Criminal Court. On May 9, he appeared before the same judge who had sentenced him in 2015. The May 16 verdict did not appear to mention Khalil. “Nouredine B. alone was found guilty for carrying and distributing Christian articles in order to undermine and destabilize the faith of a Muslim, in accordance with Article 11/02 of Law 03/06, and for that he is ordered to pay a fine of 100,000. DA ($ 862),” the verdict read. Pastor Belabed said he would not file any more appeals.